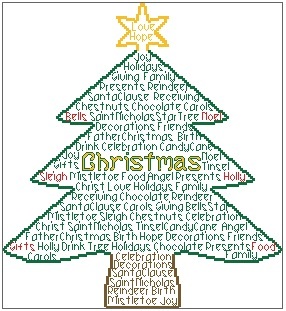 Christmas Tree In Words is a unique outline cross stitch chart measuring 140 stitches wide by 153 stitches high, and uses 4 DMC colours. A full thread usage list is available on request. 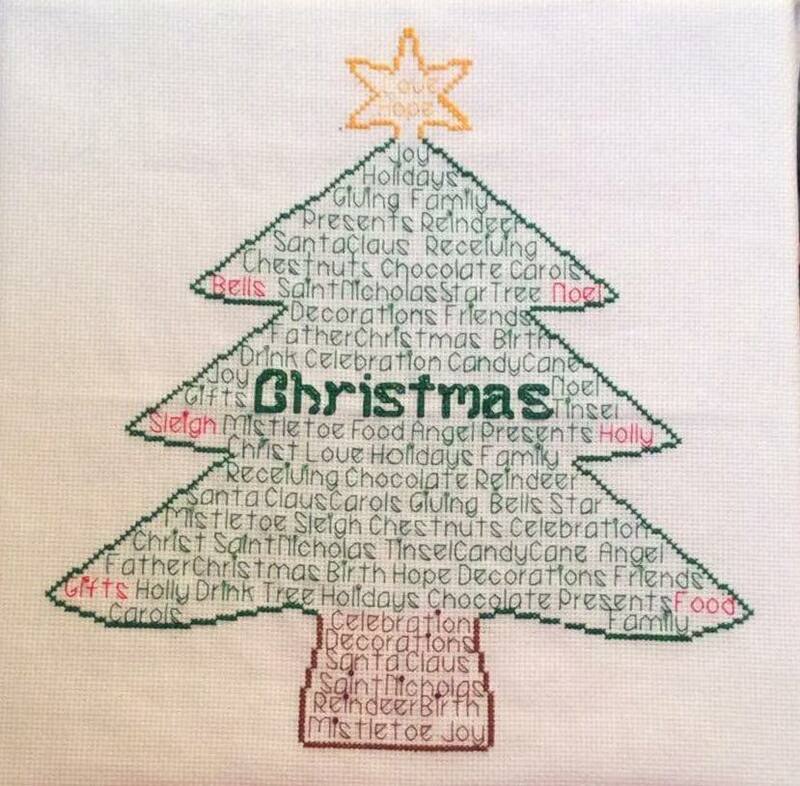 The first picture shown was stitched by Lis.